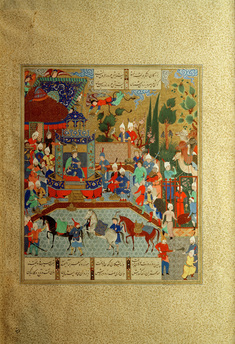 Firdausi, Persian poet, c. 940–1020. Works: Shahnameh (Book of Kings), epic, completed in 1014. Faranak, mother of Faridun, sends him presents from her treasury.